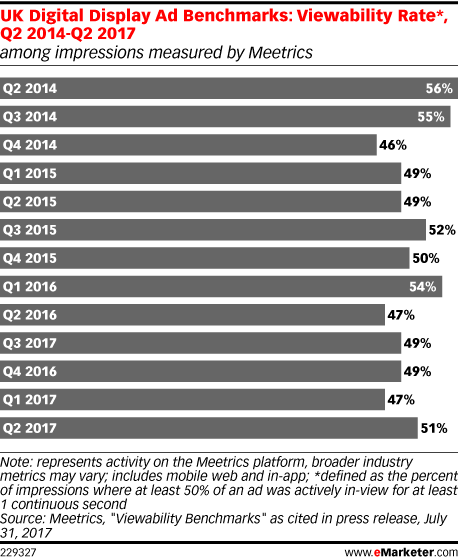 Data is from the July 2017 Meetrics report titled "Viewability Benchmarks" as cited in press release. Data is based on billions of digital display ad impressions served on desktop, smartphone and tablet devices in Europe measured quarterly. Impressions triggered by fraudulent activities were excluded from the benchmarks. Meetrics is an ad verification company.